If the rain stays away, Bartlesville High baseball will have its first scrimmage of the year on Monday. The Bruins are scheduled to take on NOAH at Bill Doenges Memorial Stadium at 4:00 PM. 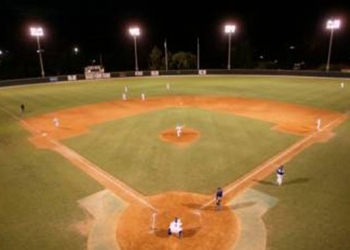 The exhibition game comes three weeks before BHS is scheduled to take the diamond on the weekend of March 1-2. The 2019 season comes with some unknowns, with first-year head coach Austin Jarvis taking the helm. Jarvis talks about what his style of Bruin baseball will entail. Bartlesville returns a number of varsity contributors from last year with Noah Yearout, Calvin Johnson, Harald Borg, Jacob Hall and others. We will have more on Bruin baseball as the preseason continues.